Video game developers have been receiving extreme scrutiny lately over their perceived business practices. Electronic Arts has been hogging most of the headlines with controversies involving microtransactions and loot boxes in Battlefront 2, Need For Speed and most recently, FIFA 18. Not one to be outdone, game developer Bungie is now competing with EA for negative press over sketchy business practices. A quick perusal of the game's subreddit reveals that players of Destiny 2 have already been stewing for a while about the lack of endgame content in the newest installment of the franchise. Other complaints range from a heavy dependence on tokens for loot rewards to relatively meaningless PVP events and more. All these gripes have been met with deaf ears from Bungie, rightfully frustrating fans. Now the developer is facing even more intense criticism for lack of transparency regarding changes to the way experience points (EXP) are awarded. Last week, players discovered an odd quirk when completing events. It appeared at first that EXP was being awarded as usual but as users continued to play, they noticed that while they seemed to be receiving the same number of points each time, their EXP meters would fill less and less. Players did not mind so much that Bungie appeared to be throttling EXP. It was that the leveling system is directly tied to the loot box rewards and online store, and Bungie seemed to have designed the UI to hide the fact that EXP was being throttled. Another Reddit user, EnergiserX, did a detailed analysis of what was going on and confirmed that EXP was being throttled back each time players repeated particular tasks. The reason for this is clearly to keep players from mindlessly grinding the same events over and over again. However, users were mad about it because there was no indication that this was going on and they felt like Bungie could have made this factor known so players didn’t waste hours of playtime grinding for diminishing returns. EnergiserX posted his findings on Thursday. Bungie responded a day later with an explanation to its blog of what players had already figured out. Additionally, Bungie said it would deactivate the throttling systems immediately. What they failed to mention was that in addition to disabling throttling, they would be increasing the EXP required to level up by 100 percent. Players used to achieve level rewards at 80,000 points. Now it takes 160,000 to earn a level. 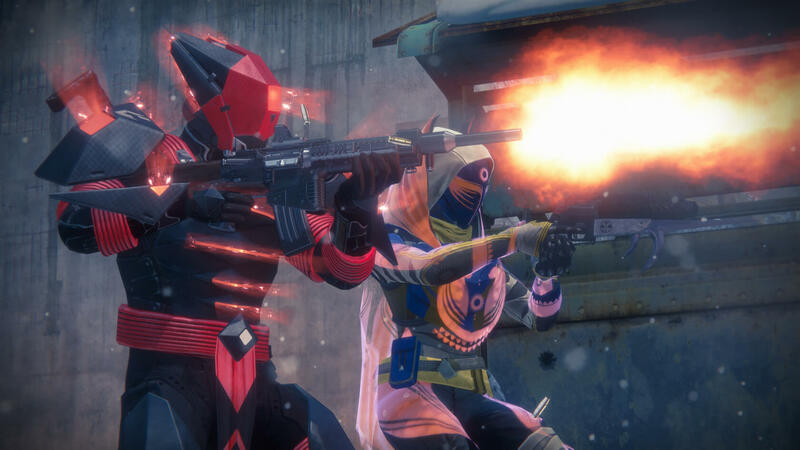 Destiny 2 director Luke Smith also tweeted that he and project lead Mark Noseworthy would spend the week finally addressing complaints received since the title's launch back in September. While there are always going to be players that complain about having to work for rewards, Bungie certainly could have headed off much of the recent criticism by simply being honest and communicating to users what they were doing.